Having just submitted a massive book project to a scholarly publisher, I haven’t had much time recently for reading or blogging. Now that I have more time on my hands there are a few books I’m going to be reading and blogging about in the coming weeks. Megan Abbott’s latest novel The End of Everything was released earlier this year and has been sitting on my shelf just waiting be hungrily devoured. A new Abbott novel is a crime fiction event, and this one, set in an affluent 1980s Midwest suburb and focused on the disappearance of a young girl named Evie and the affect it has on her closest friend Lizzie, promises to be as gripping and powerful as Aboott’s previous novels Die a Little (2005) and The Song is You (2008). This one is actually a reread but always worth a visit; Meyer Levin’s Compulsion (1956) is a epic novelisation of the infamous Leopold and Loeb murder case. A precursor to the non-fiction novel which some critics claim began with Truman Capote’s In Cold Blood (1965), Levin thrillingly explores the psychology of the young killers (here renamed Strauss and Steiner), in the process giving a fascinating insight into upper middle-class Jewish life in 1920s Chicago. The subsequent murder trial where the killers were represented by Clarence Darrow (renamed Jonathan Wilk in the novel) includes some of the most dramatic courtroom scenes in crime fiction. Highly recommended. As much as I love reading crime fiction, it is in some respects my job, so I like to read other types of books as well. In order to diversify my reading I’m trying to read more history books. 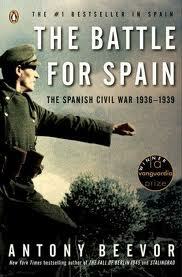 I’ve just checked out from the library Antony Beevor’s The Battle for Spain: The Spanish Civil War (1936-1939). This appealed to me as Beevor appears to be one of those historians who can write to a wide audience and not get too bogged down in excessive details. I know very little about the conflict other than it was a forerunner to the Second World War. I’m looking forward to this one. Thanks for the tip on Meyer Levin’s book- it looks very interesting and I will keep an eye out for a copy. The Battle for Spain covers a very interesting period in European history that I was first made aware of by Hemmingway’s For Whom the Bell Tolls, which became one of my all time favorite books. I am looking forward to more blog posts again in the future. You must let me know when your book is out so that I can post about it on my blog too. Thanks for commenting. 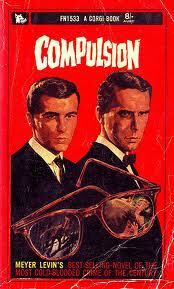 Compulsion is a brilliant novel. It was also turned into a film starring Orson Welles in the Wilk/Darrow role and a young Dean Stockwell as one of the killers, but I haven’t seen it. My first book Conversations with James Ellroy comes out in February. The one I just submitted to my publisher should be out in about a year or perhaps longer. James Ellroy is one of my all time favorite writers so let me know when your book is about to come out and I will certainly give it a plug on my sites. There’s no better language to read a noir thriller than French. I just wish I had taken French at school instead of German! I also think Abbott is one of the great crime writers of our age. 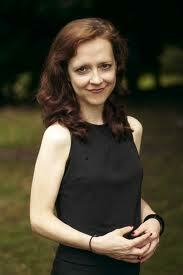 I love her first book, The Street Was Mine, a comprehensive study of hardboiled crime fiction. Her first novel was Die a Little, but before that she published her study of crime fiction The Street Was Mine which I believe was adapted from her thesis.